First, a review of the top stories for the last several years can be found below. Hold up, stop the press, we have a last minute addition.. Honorable Mention- The much awaited hypertension guidelines (JNC 8 aka JNC late) was finally published in JAMA. I guess it is fitting that JNC 8 was published AFTER the year-end poll. The recommendations were a vast simplification to the JNC 7 report. In a nutshell, the JNC 8 committee recommended to treat blood pressure to 150/90 (JNC 7- 140/90) in patients greater than 60 yrs old and 140/90 (JNC 7- 130/80) for everyone else including patients with CKD, diabetes and those less than 60 years old. The new guidelines also recommend black patients take either a thiazide diuretic or a calcium channel blocker (CCB) as initial Rx. They recommended non-black patients to take thiazides, ACEi, ARB or CCB. Patients with CKD should be on ACEi or ARB. JNC 8 will still be fair game for next years top nephrology-related story. 10. Controversial cholesterol guideline published by AHA/ACC (14%)- Coming in at number 10 is the new cholesterol guidelines published in JACC by the AHA/ACC. There was much debate about the calculator that accompanied these guidelines as many felt that it was flawed and over-estimated the risk of cardiovascular disease. This over-estimation (75-150%) would place many more people on statins that would not be warranted. Joel over at PBFluids has a nice discussion about this. 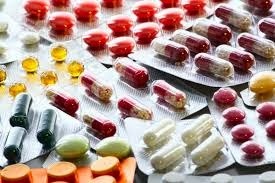 For a review on treating cholesterol in patients with kidney disease check out Andrew's post at RFN. 9. A novel potassium binder ZS-9 presented at ASN (14%)- This was a big surprise for just about everyone at ASN this year. However, the study is not published yet. The medical community is sorely in need of a better potassium binder for treating hyperkalemia. This is a frequently encountered problem with life threatening implications. Sodium polystyrene sulphonate (kayexalate) has been put through the ringer as of late. Many have been calling into question its effectiveness and potential risks (bowel necrosis). For another view on SPS check out Joel at PBFluids. The company ZS Pharma presented results from a phase II clinical trial and demonstrated that ZS-9 was capable of lowering potassium with minimal side effects. This could be a huge breakthrough and a much needed drug to treat a common medical condition. This is a well-deserved top story of the year in my opinion. 8. APOL1 risk alleles linked to CKD progression in AASK and CRIC cohorts presented at ASN and published in NEJM (15%)- The story of APOL1 risk alleles continues to gain traction in the medical literature. This year at ASN the story deepened with a study by Parsa et al. I discussed this on eAJKD. The authors showed that having 2 APOL1 risk alleles was associated with faster decline of kidney function in both the AASK and CRIC cohorts. The original APOL1 study published in Science was the #4 RFN top story of 2010. This is an exciting avenue of investigation as a target for APOL1 could have huge ramifications in treating kidney disease. However, this could be a long way off. 7. JASN paper by DeSilva et al showing that Fistula First perhaps not best for Elderly CKD patients (16%)- Coming in at number 7 is a very interesting paper from DeSilva et al in JASN. The Fistula First campaign has largely been seen as effective in decreasing the number of patients initiating dialysis with either a catheter or a graft. However, the benefit of performing dialysis with a fistula over a graft might not be apparent until several years. Is is possible that the survival benefit of a fistula over a graft is lost in the elderly? This group showed that in patients over 80 years old mortality did not differ between patients with a fistula versus a graft. Furthermore, they show that patients receiving a fistula were much more likely to require a catheter at some point as compared to a graft. An accompanied editorial states that we should shift our focus from a "fistula first" to a "patient first" approach. A one size fits all approach to medicine can be dangerous. This is an important study and worthy of the top 10 list. 6. Tolvaptan fails to gain approval from FDA for ADPKD (18%)- Number 6 is #TeamTolvaptan. Joel pushed for this story to be the number one story of the year over at PBFluids. Patients with CKD and in particular ADPKD have few pharmacological weapons to combat the relentless decline of renal function. The results of the TEMPO3:4 trial was the number 1 story of last year and the nephrology community was hopeful tolvaptan would gain FDA approval for ADPKD this year. However, this was not the case as the FDA focused on liver toxicity and lack of hard outcomes (no ESRD outcomes only change in cyst size and slope of creatinine). I hope we see the tolvaptan story making the number 1 story of 2014 with approval from the FDA. We will see. 5. Abatacept in B7-1 Postivie Proteinuric Kidney Disease presented at ASN and published in NEJM (22%)- This was a small case series published in NEJM of abatacept (fusion protein composed of the Fc region of IgG1 fused to CTLA-4 inhibiting B7-1 binding) in patients with FSGS. Five patients with FSGS underwent immunostaining for B7-1 and showed positivity. 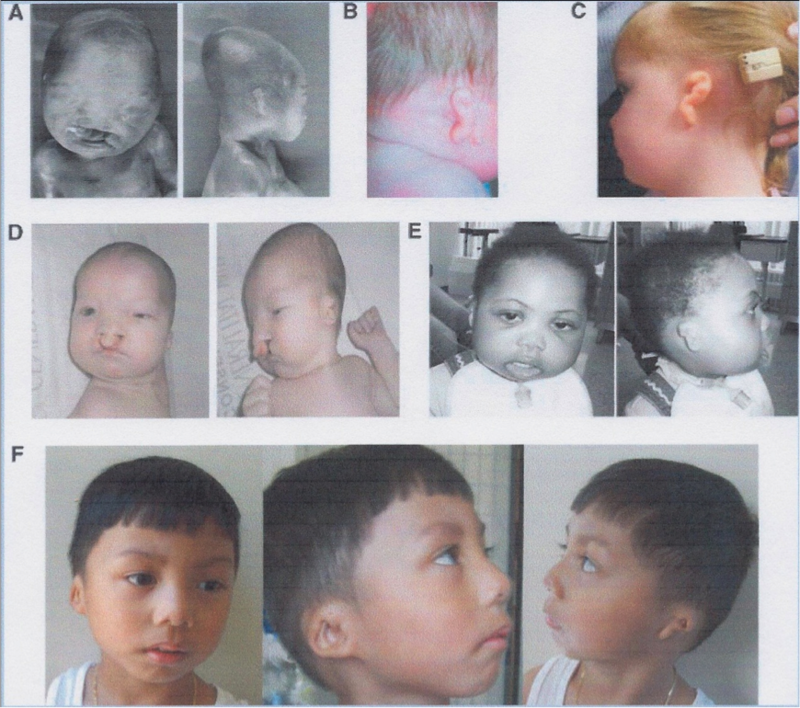 These patients were subsequently treated with abatacept. All had either a partial or a complete remission. The thought is that B7-1 activation leads to podocyte dysfunction and abnormal motility through its interaction with beta-1-integrin. Paul discussed the utility of abatacept in FSGS, Lupus Nephritis and Diabetic Nephropathy on RFN. I hope a large trial will be underway soon as these are encouraging results. 4. RAVE Trial showing Rituximab as effective as conventional immunosuppression as induction agent in ANCA vasculitis reported in NEJM (25%)- The use of rituximab has continued to gain popularity treating a variety of autoimmune-related diseases. The difficulty in treating ANCA vasculitis is that the toxicity of the meds can sometimes be worse than the disease itself. Enter the RAVE trial. This was a randomized trial originally published in 2010 and demonstrated non-inferiority of rituximab as compared to oral cyclophosphamide for remission of severe ANCA associated vasculitis at 6 months. The follow-up to RAVE was reported in NEJM and discussed by Paul at RFN in December. In the RAVE trial the experimental group received rituximab and those who had remission only recieve placebo therafter. Whereas the comparison group received continued immunosuppression with cyclophosphamide followed by azathioprine (conventional group). Overall results showed that the rituximab group was non-inferior to the conventional group at 18 months. Rituximab was also superior to conventional immunosuppression in relapsing patients over the first 12 months. Interestingly and surprisingly, adverse events were similar between the two groups. These are encouraging results and adds to the armamentarium of drugs for ANCA vasculitis. 3. JASN paper by Maduell et al showing Online Hemodiafiltration reduces mortality compared to standard HD (27%)- Online hemodiafiltration continues to gain traction in Europe but its use the US has been slow to catch up. Online hemodiafiltration is a technique that involves the addition of convective clearance (hemofiltration) to the diffusive clearance of hemodialysis. This gives better middle molecule clearance of uremic toxins. 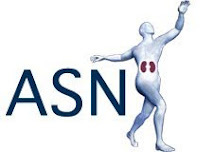 Maduell et al reported in JASN this year a multicenter, open-label, randomized controlled trial with 906 patients on HD with either hemodialysis versus online-hemodiafiltration. After 2-years the online hemodiafiltration group had a 30% reduction in mortality (P=0.01). Paul at RFN reviews the evidence for why online hemodiafltration has gained momentum in Europe. Lets hope the big dialysis groups catch on and start offering this therapy to patients on hemodialysis. 2. NEPHRON-D trial presented at ASN and published in NEJM (27%)- Number 2 is the NEPHRON-D trial. Edgar covered this at eAJKD and Ed Al Sayed at PBFluids. This trial effectively put the nail in the coffin of combined ACEi/ARB therapy for diabetic nephropathy. In short the trial was stopped early due to adverse events such as hyperkalemia and acute renal failure, but still didn't show a difference in CKD progression or death. Even though this was a negative trial it answered an important question about the use of combination therapy and appears that readers agree as it is the number 2 story of the year. 1. CORAL trial for Renal Artery Stenosis presented at AHA and published in NEJM (33%)- Coming in at number 1 is the CORAL trial. This was presented at AHA Scientific Sessions and published in NEJM. As with combo ACEi/ARB therapy this is another nail in the coffin for this time stenting renal arteries in hypertension associated with renal artery stenosis. The CORAL trial was a large trial of 947 patients with renal artery stenosis. There was no difference in any of the outcomes most notably death, MI, stroke, progression of CKD or need for RRT. Jonathan has a nice discussion about this trial at RFN. There still could be a small subset of patients who might benefit from stenting (e.g. flash pulm edema). However, this could be the end of routine stenting in renal artery stenosis. 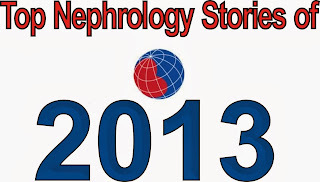 Again, quite a busy and exciting year in the world of nephrology in 2013. Thanks to all of the contributors and readers for keeping the site fun, interesting and educational. Thanks for supporting RFN and happy holidays. Can't wait to see what 2014 has in store! JASN paper showing improved mortality for online HDF compared with standard HD. The first two are not so surprising - high profile papers presented at the ASN and published in the NEJM. Even if they were negative trials, they have a significant impact and will change clinical practice. The third is more surprising to me personally although it is an important paper. Genome-wide association studies (GWAS) are large population based collaborative studies seeking genetic patterns that would explain common complex phenotypes. These large studies have given us much insight into the genetic risk profile of patients with diseases such as chronic kidney disease and hypertension. Frequently the genetic markers described as risk genotypes are single nucleotide polymorphisms (SNPs) that lie in regions of the genome yet to be ascribed a functional role. Trudu et al in Nature Medicine this month describe a beautiful set of experiments that explain how risk variants for CKD and hypertension found by GWAS effect blood pressure regulation at the molecular level. A number of GWAS have described risk SNPs in the promoter region of UMOD (1, 2, 3,4, 5, 6, 7). The UMOD gene codes for uromodulin or Tamm-Horsfall protein, which is secreted into the urine by cells of the thick ascending loop of Henle (TAL). Uromodulin has been shown to reduce UTIs and regulate NKCC2 and ROMK, the two main channels responsible for NaCl transport in the TAL. Furthermore, UMOD mutations cause dominantly inherited CKD (MCKD2). Susceptibility variants found in the UMOD gene are at high frequency in the general population and confer a 20% increased risk of CKD and 15% risk of hypertension. This paper set out to uncover the biological mechanism that would explain the increased CKD and hypertension in patients with these risk genotypes. They looked specifically at the 2 lead variants located in the UMOD promotor region. Briefly, in human nephrectomy samples (removed due to RCC), those with the risk genotypes had higher uromodulin expression than those with non-risk genotypes. They confirmed this association of UMOD promotor risk variants and higher urinary uromodulin in large population-based cohort (SKIPOGH). In mouse-models, mice over-expressing UMOD had higher blood pressures and more LVH than controls and had more interstitial pathology (despite normal renal function) than controls. They then showed that mice over-expressing UMOD had more active NKCC2 (furosemide sensitive channels) than controls. They also showed that the higher BP in UMOD over-expressing mice could be dropped to baseline levels by furosemide (all mice had comparable levels of ENaC and NCC). More work was done to further elucidate the mechanism of NKCC2 phosphorylation by UMOD. Finally the authors bring their attention back to humans. They used a never-treated human hypertensive cohort (MI_HPT) and stratified them according to one of the risk variant genotypes (rs4293393). Patients homozygous for the risk genotype had statistically significant higher baseline diastolic BP. Some of these patients underwent furosemide testing. Patients with the homozygous risk allele had a higher natriuretic response and diastolic BP drop than others (both statistically significant). To summarize the authors conclusions; patients with risk alleles in the UMOD promotor had greater risk of hypertension and CKD. These patients made more uromodulin. Uromodulin increases NKCC2 activity and thus salt sensitive hypertension. Also, UMOD over-expression increases interstitial kidney damage and thus increases the risk of CKD. These risk genotypes for disease are at high frequency in all ethnicities tested. The authors suggest that selective pressure for disease related variants in UMOD is similar to the APOL1 story. The protective effect of uromodulin on UTIs and ability to raise blood pressure may have lead to its selective over-expression. This paper demonstrates the mutual importance of large-scale studies such as GWAS and studies of rare monogenetic diseases such as Bartter and Gitelman syndromes. This paper is a worthy contender of a top ten listing this year with a truly translational set of studies combining modern basic science with clinical studies. I also want to give a shout out for stories on new targets for ADPKD and the new AHA Cholesterol guidelines. Extended-Release Tacrolimus: same old drug in a different package? Tacrolimus extended-release capsules were approved in the US by the Food and Drug Administration (FDA) in July 2013. The development of this new formulation garnered interest due to a possible improvement in immunosuppressive medication compliance. This formulation has been approved for use in European countries since 2007 under the trade name Advagraf®, and it has been approved for use in 73 countries worldwide. Astagraf XLTM or Advagraf® is modified to be released slowly by adding ethylcellulose, hypromellose, and lactose monohydrate in order to altered water penetration and form a protective polymer coating around the drug. Extended release tacrolimus has different dissolution properties and is delivered in a more distant area of the gastrointestinal tract. Comparable trough levels but lower peak levels were seen with the extended released formulation compared to regular release tacrolimus in two industry sponsored clinical trials. The trials showed an equivalent overall drug exposure between the two formulations in spite of the lower peak levels with extended release tacrolimus, and suggested a 1:1 conversion from the regular tacrolimus formulation to extended released tacrolimus and the same therapeutic drug monitoring strategy. Subsequent clinical trials have, however, consistently reported lower trough levels and area under the curve (AUC) with the extended release formulation. On average, the trough tacrolimus level with the extended release formulation was 40 % lower than that of regular release tacrolimus at 6 weeks post transplant. The total daily dose requirement also tended to be at least 10% higher with extended release tacrolimus as compared to the regular release tacrolimus at 1 year post transplant. Additionally, although a high correlation between trough and AUC was reported with the extended formulation in phase I trials with healthy subjects, significant inter-subject variability in PK profiles and the trough to AUC ratio has been observed with extended release tacrolimus in solid organ transplant recipients, which leads to a concern that monitoring troughs of this drug may not represent the overall exposure to it. Studies have also presented concerning results on more biopsy-proven acute rejections with extended release tacrolimus, and there was speculation that this may be related to the lower peak concentrations. However, a recent meta-analysis of 6 randomized controlled trials and 15 observational studies found a non-significant difference in biopsy proven acute rejections and graft/patient survivals at 12 months between the two formulations. There have been a small number of studies that investigated whether the once daily regimen with extended release tacrolimus instead of twice daily dosing actually improved patient compliance to immunosuppressive regimens. There are no data to suggest that extended release daily tacrolimus improves medication adherence compared with the twice daily tacrolimus formulation in kidney transplant recipients, but improved adherence rates were reported with the use of extended release tacrolimus in liver and heart transplant recipients. Finally, there is a new formulation of extended release tacrolimus, LCP-TacroTM (Veloxis Pharmaceuticals, Hørsholm, Denmark), being developed for use in kidney (Phase III) and liver (Phase II) transplant recipients. LCP-tacrolimus has greater bioavailability than regular release tacrolimus, and only requires about 70% of the daily dose of regular release tacrolimus on average. The release of LCP-tacrolimus, which has small size particles of the drug embedded in the tablet being absorbed consistently over a full day, provides a time-to-concentration plot that is similar to that of a continuous infusion of intravenous tacrolimus, with significantly lower peak to trough variations. It will be interesting to see how this medication impacts transplant outcomes, safety, and medication compliance. Nonadherence to immunosuppressive medications is not uncommon in organ transplant recipients and is associated with significant worse long-term outcomes. Whether utilizing once daily extended release tacrolimus will improve compliance in kidney transplant recipients and consequently improve long-term graft outcome remains to be confirmed. Although I don't believe that many will agree that this was the most important paper of the year in the world of nephrology, I do want to give a shout out to a paper published in JCI in September on the effect of KIM1 overexpression in mice. Kidney Injury Molecule-1 (KIM1) is a transmembrane receptor that is normally expressed at very low levels in the kidney. However, in the setting of AKI, the expression increases markedly and KIM1 can be detected in the urine making it a potential biomarker of kidney disease. It has been investigated extensively and shown to be increased in CKD, AKI and in transplant recipients. It's role appears to be in the modulation of the immune response to injury and in repair of tubular tissue. What the authors of this paper did was ask what would happen if KIM1 was overexpressed in the kidney. 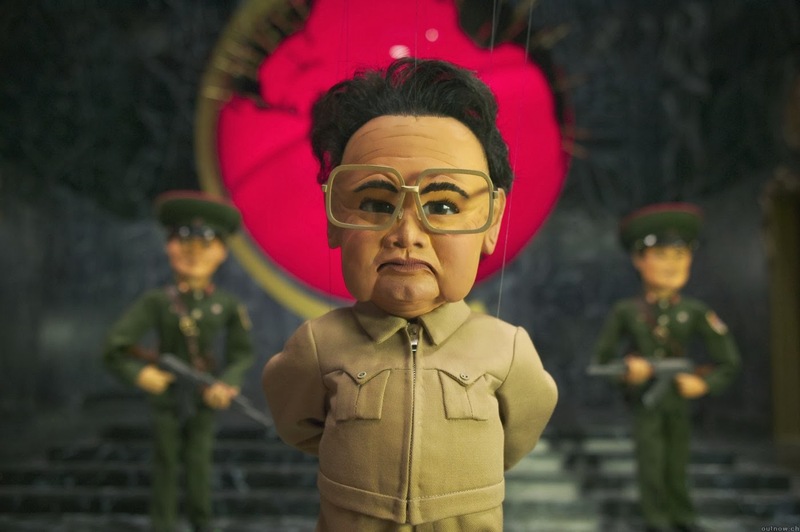 To do this, they created a conditional knock-in of KIM1 leading to constitutive expression in the tubules. The mice were normal at birth but by 2 weeks were already smaller than their littermates with about half as many glomeruli. 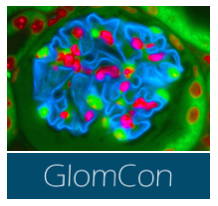 The glomeruli looked normal histologically at that point. The mice subsequently developed severe tubular inflammation and fibrosis. This was accompanied by proteinuria, hypertension and anemia. All of this appeared to be driven by the tubulointerstitial inflammation and there was no evidence of a primary glomerular disease. So, mice with uninhibited KIM1 expression rapidly developed ESRD in the absence of any other insults. By obstructing a single kidney in the mouse, you can induce inflammation and fibrosis. The authors next used this model in wild-type mice and in mice with a KIM1 mutant that lead to decreased activity. The mice with the KIM1 mutant were protected from renal fibrosis. Honorable mention goes to the paper in CJASN that finally put the dagger in the heart of urinary eosinophils that I had previously blogged about. Good riddance. Now vote for your top nephrology story of 2013 on RFN! 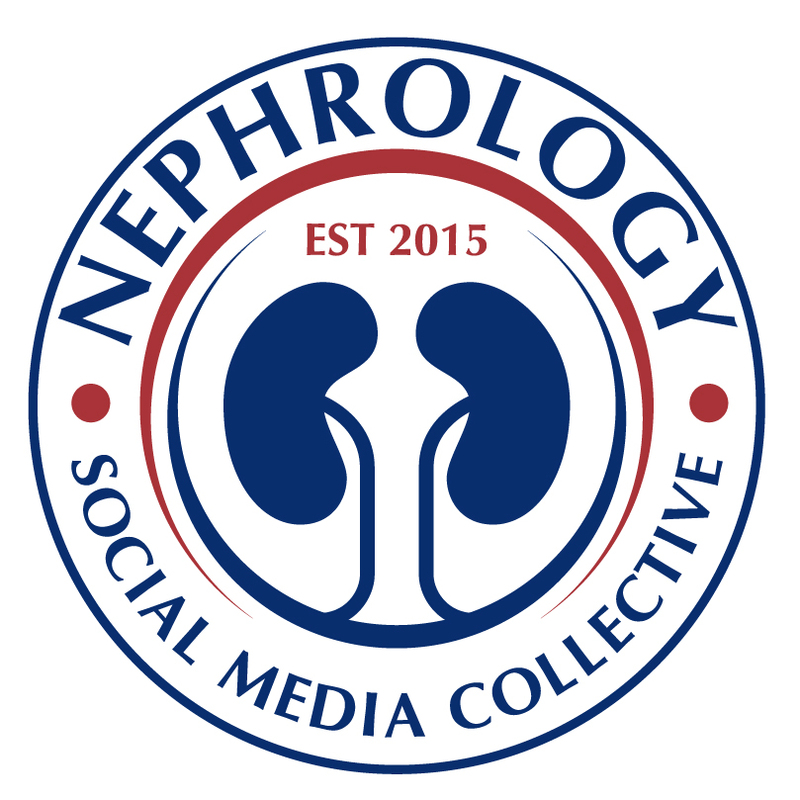 Check out the coverage of top nephrology stories from around the blogosphere including eAJKD, Precious Bodily Fluids, Nephron Power, Whiz Bang and a few others coming soon. In a year which gave us the bardoxolone failure, NEPHRON-D and the CORAL trial to name a few, a study with a positive result should be celebrated and the RAVE follow-up must be a contender for top 10 nephrology stories of 2013. The original RAVE trial was a multicenter, blinded, RCT which was published in 2010 (n=197). It demonstrated non-inferiority of rituximab (375 mg/m2/week for 4 weeks) as compared to oral cyclophosphamide for remission of severe AAV at 6 months. Moreover, among patients who had relapsing disease at baseline, rituximab was superior to conventional immunosuppression, at least at 6 months. Of note, in the same issue of the NEJM in 2010, the smaller RITUXIVAS study (n=44) compared IV cyclophosphamide for 3-6 months to a rituximab based regime (same dosing as RAVE but including 2 IV cyclophosphamide pulses) with equivalent remission rates at 1 year. In both studies, conventional steroid treatment was employed. The follow-up to RAVE was reported in the NEJM in August. Patients achieving a remission with rituximab received only placebo from month 6 through 18 while the comparison group received continued immunosuppressive therapy comprising cyclophosphamide followed by azathioprine. Overall results demonstrated that the rituximab group non-inferior to cyclophosphamide followed by maintenance therapy with azathioprine for 18 months. Echoing the original RAVE report, rituximab was superior to conventional immunosuppression in relapsing patients (>50% of patients at enrollment) at 12 months (P=0.009). However, at 18 months when most patients in the rituximab group had reconstituted B cells, the significance was lost (P=0.06). There was no significant difference between the groups in the numbers of total adverse events, serious adverse events or the number of discontinuations. · Regarding the relevancy of the results for nephrologists, it must be noted that only 66% had renal involvement and creatinine clearance was 54-69mls/min in the 2 groups. The mean increase in creatinine clearance was similar at approximately 11mls/min in both groups and response rate was similar between the 2 groups in patients with ‘severe’ renal disease. · Rituximab is often considered a ‘clean’ drug. What strikes me after reading many studies using rituximab is that the adverse event rate is usually similar to the comparison group, in this case cyclophosphamide. · A persistent concern with rituximab is whether or not to re-treat, and if so when, after B cell re-population occurs. In this 18 month follow-up, non-inferiority was maintained at up to 18 months, when most patients in the rituximab group had reconstituted B cells. However, B cells were detectable in 88% of rituximab patients who relapsed between 6-18 months. Verdict: A knowledge gap may still exist for patients presenting with a rapidly progressive GN requiring dialysis although the RITUXIVAS trial contained patients with worse renal function, some needing dialysis, and suggested equivalent early outcomes (but compared to IV cyclophosphamide). Also, we lack clarity on whether to re-treat and if steroids are necessary with rituximab. Overall, however, there is robust evidence that a 4 week course of rituximab is non-inferior to cyclophosphamide in the treatment of (most?) AAV patients. For my other highlights of the year, see previous blogs regarding Abatacept as targeted therapy for FSGS and the merits of high-volume online hemodiafiltration versus conventional high-flux dialysis. Don’t forget to vote for your top stories. Being a parent is probably one of the most desirable and difficult tasks in life. While ESRD is associated with a high rate of infertility related to hormonal changes and anovulation, most patients undergoing renal transplantation resume menstrual cycles and fertility in approximately 6 months! Contraception is critical post-transplant due to potential teratogenicity of MMF (1st trimester pregnancy loss, facial and limb deformities as can be seeing on the figure). It is essential to plan ahead of time for patients interested in getting pregnant once renal allograft function is stable for at least 6 months. Conversion from MMF to AZA must be done at least 2 months prior to conception. Best timing of pregnancy is unclear though waiting at least 1 year after transplant is generally recommended. Most common immunosuppressive regimens are tacrolimus or cyclosporine with AZA +/- prednisone. The incidence of birth defects in recent cohort was similar to the proportion in the general population of 3–5%. Few cases of successful in vitro fertilization (IVF) have been reported as well. Higher risk of pre-eclampsia (about 30%), prematurity (~35 weeks) and low birth weight have occurred in pregnant-transplant recipients. Approximately 30% of patients also suffer deterioration of kidney function after pregnancy. Overall perinatal mortality at 5.8% was almost six times higher among babies born to transplant recipients than among the general population. - Convert MMF to AZA. A dose of 500mg BID of Cellcept equals approximately 200mg AZA, though variability of metabolism and weight has to be taking into account. After conversion, monitor LFTs and WBC. No need to overlap drugs during conversion. - Stress dose steroids recommended during maternal distress and in labor (e.g. hydrocortisone 50mg during active labor). - There is paucity of data regarding breastfeeding and consequences of immunosuppressive drugs in the fetus. The headlines must go to the small case series of abatacept in FSGS published in NEJM. The rationale for its use was the observation that B7-1 expression is not apparent in normal human podocytes but is found in certain diseased podocytes including a subset of FSGS patients. The series included 4 patients with recurrent FSGS post-transplantation (rituximab-resistant) and one with glucocorticoid-resistant primary FSGS. All patients achieved either partial or complete remission. In vitro studies demonstrated that α3-Integrin knockout mice constitutively expressed B7-1 in podocytes and abatacept blocked B7-1 mediated podocyte migration in these cells. The molecular mechanism of B7-1-induced podocyte dysfunction was shown to be disruption of activation of the glomerular protein β1-integrin. The authors conclude that B7-1 immunostaining of biopsies may identify a subgroup of patients who would benefit from treatment with abatacept. The late-breaking session included a randomized controlled trial of Euro-lupus regime cyclophosphamide (i.e. low dose IV) with or without abatacept for proliferative lupus nephritis [Access Trial]. Azathioprine was introduced at 3 months and stopped at 6 months in the abatacept group if they had achieved a remission. Overall, there was no difference in remission rate between the groups. Despite the neutral outcome, 2 points should be taken from the study: (i) The Euro-lupus regime appeared to work in a US cohort of patients where almost 80% were either Hispanic or African American. (ii) Abatacept patients who achieved remission maintained this at 1 year despite coming off immunosuppression at 6 months. However, with the growing confidence in Mycophenolate-based therapy for lupus nephritis and the lack of improved remission with Abatacept in this study, its place in the treatment of proliferative lupus nephritis remains uncertain. An oral presentation on abatacept in Diabetic Nephropathy [FR-OR010] reported increased B7-1 expression in both murine podocytes cultured in high-glucose and on human glomerular podocytes from biopsy specimens. The use of Abatacept in diabetic mice prevented an increase in albuminuria. Bottom Line: The FSGS case series beautifully illustrates how targeted therapies may be applied to immune-mediated renal diseases. While this case series is very small, it demonstrates the potential for reclassifying disease based on pathogenesis (i.e. B7-1-mediated) rather than crude pathological patterns (focal segmental sclerosis). This is similar to the recent re-classification of MPGN into complement or immune complex-mediated forms. With new targeted therapies like abatacept (and eculizumab for complement mediated glomerulopathies), we may be entering an era of intelligent immunosuppression based on molecular pathogenic signals rather than crude histological patterns. Registration has opened for the Spring session of the Ultrasound course for Nephrologists at Emory University. It will be held on Feb 1-2 2014, in Atlanta. The brochure for the upcoming course is available here. CMV related illness is common in the KTRs and the risk is highest in D+/R- group and the least in D-/R-. We do prophylaxis KTRs with Valganciclovir (Valcyte) 900 mg daily (adjusted for renal function) for 6 months in D+/R- group, and 450 mg daily for 3 months for R+ group regardless of the donor status. No CMV prophylaxis is required for the D-/R- group (this group receives acyclovir for prophylaxis of other opportunistic viruses like HSV and HZV). Leukopenia is a side effect of Valcyte and the anti-metabolites. If leukopenia is encountered, valcyte dose or dose of the anti-metabolite (eg MPA derivative, azathioprine, or TOR inhibitor) or both be adjusted based on the physician’s discretion (consider checking for CMV pcr). Consider use of G-CSF if the absolute neutrophil count is less than 500. If Valcyte dose must reduced or discontinued for more than one week, weekly monitoring of CMV Quantitative (blood PCR) could be considered for a total of 3-4 months from the time of transplant. Routine CMV PCR testing is NOT recommended in patients receiving full doses of prophylactic therapy unless there is some other clinical suspicion for breakthrough CMV infection. Active viral replication (based on blood PCR) without any symptoms attributable to CMV. It is recommended to start treatment even at a low level of viral load. It should be noted that a change of viral load less than or greater than three times the previous value (0.5 times log 10) does not mean a true change in the viral load. Valcyte at treatment dose (900 mg BID), adjusted for renal function) is recommended for treatment. Weekly Quantitative PCR in plasma is recommended while on treatment and duration of treatment to continue at least for two consecutive negative Quantitative PCRs, and not less than a total of 2 weeks. Secondary prophylaxis at the end of treatment (at prophylaxis dose of Valcyte) for a month or two after finishing treatment can be considered if suspicion for relapse is high. Active viral replication plus symptoms: Either 1) a flu-like illness with fever and general malaise, often associated with leukopenia or 2) tissue invasive disease (commonly GI but also including hepatitis, pulmonary and rarely uveitis and encephalitis). Treatment either with Valcyte at treatment dose or IV Ganciclovir at treatment dose (for life threatening illness and GI disease). IV Ganciclovir can be switched to corresponding dose of Valcyte at any time during the therapy if considered appropriate. Monitoring for response and duration of treatment are similar to CMV infection treatment. Please note that tissue invasive disease can rarely occur with negative quantitative PCR in blood (especially when disease is limited to the GI tract). In that situation, duration of therapy should consist of at least two weeks of the antiviral or longer as guided by clinical response. Secondary prophylaxis at the end of treatment with Valcyte for a month or two (at prophylaxis dose of valcyte) can be considered if suspicion for relapse is high. Lowering of immunosuppression should be considered starting with the anti-metabolite (definitely for life threatening illness) at the discretion of physician. If leukopenia is encountered, it is recommended to lower anti-metabolite rather than lowering valcyte dose to avoid failure of therapy and resistance of CMV to valcyte. Does JC Virus Nephropathy Exist?